K.Will's fourth album "Part.2 Mood Indigo," released on Tuesday, is a collection of seven intimately crafted and candid songs about love and heartbreak that display the singer's striking vocals as well as his abilities as a lyricist and co-producer. The new seven-track album is the singer's first release since September 2017 "Part.1 Nonfiction" when came out. In a recent interview prior to his album release, K.Will explained why he called the album "Mood Indigo." "I decided to call it Mood Indigo because I was inspired by the movie of the same title. The storyline is definitely quirky and surreal, but visually the movie has natural flows and kaleidoscopic colors. Likewise, I wanted to convey my natural charms," he said. During his hiatus, the singer performed in the Korean edition of the French musical "Notre Dame de Paris." When asked if there were any changes to his singing style after appearing in musicals, the 37-year-old said, "My voice has changed over the years ― whether for the better or for the worse, it's up to the public to decide ― but it's not because I did musicals." "Rather, it just happened naturally because fans' preference for music changes and I, as a Korean pop artist, needed to adapt to the demand and make my music more approachable." 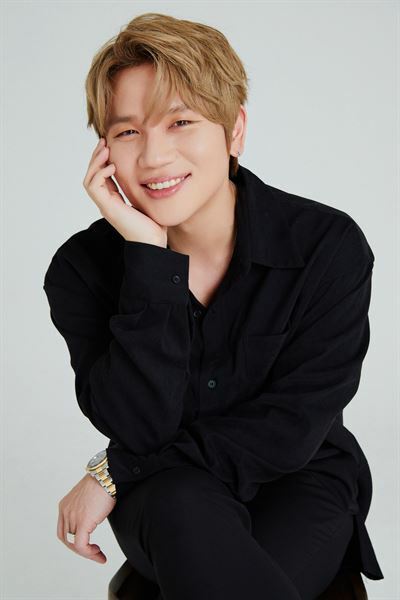 K.Will stressed that he has tried to broaden his musical spectrum by singing medium-tempo songs with a bright beat and even hook-filled dance tracks. For this album, he co-produced and wrote lyrics for several tracks, including "Melody," "Those Days," "Delete" and "Wake." "I realize I'm a player who needs to explore how to smoothly blend and transcend musical genres. I hate to feel that I'm stuck in the past with the same old music," he said. In that sense, writing and recording his album turned out to be a cathartic process for him. For the lead single "Those Days," K.Will got together with his old producer Kim Do-hoon, who wrote his previous hits including "Dropping Tears," "I Need You" and "Please don't…" Popular lyricist Kim Eana was credited with writing the lyrics alongside K.Will himself. "The lead song is a pop ballad incorporated with retro sounds. I wanted a song that reveals my personal side but includes a universal message at the same time," K.Will told reporters. Regarding hopes for the new album, the ballad singer said "It would be great if I get positive feedback immediately after the release, but even if my song slowly gains popularity like my previous single 'Growing' did, that would also be empowering." Currently, K.Will is busy promoting his new album and preparing for musical performances across the nation. His concert tour kicks off at Olympic Hall in Seoul on Dec. 22, and it will continue with stops in six cities, including Busan, Ulsan, Daejeon, Daegu, Seongnam and Gwangju.